Carol Lombard died in a plane crash. 1 Federal Census, IN, Allen County, 1910, Fort Wayne Ward 5, E.D. 45, Sheet 19B, Image 38 of 40, Ancestry.com (Online Census Images). 2 Find A Grave, (accessed 05/02/2016). 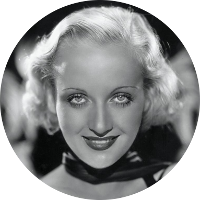 3 Wikipedia, "Carol Lombard", (accessed 02/24/2016).